Immerse yourself in incomparable luxury along the Florida coast at Hyatt Key West Resort and Spa. This hotel offers contemporary elegance in a dream location. Explore the picturesque Old Town area just minutes from the resort then return to their oasis for unparalleled sophistication in every regard - from a pampering spa and all new 24 hour fitness center to lavish guestrooms and delectable dining. 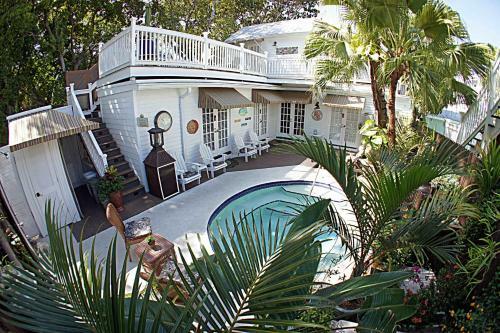 The Cabana Inn is located at 413 Applerouth Lane, Key West, FL 33040. This is a 1 minute walk from Duval Street and 10 minutes from Mallory Square. The Historic Seaport area is a 10 minute walk away. You can walk to Higgs Beach in 26 minutes and Smathers Beach in 51 minutes. Azul Key West is an adult-only boutique hotel just three and a half blocks from Duval Street and a five minute walk from Hemmingway House. Ultramodern and minimalist by design, the upscale accommodations offer an uncluttered, tropical style unique in a town of chintz and lace. A Key West Inn known as much for its healthy and hearty fresh fruit breakfast, as the daring color palette of cool blues and crisp whites. Guests can enjoy a daily continental breakfast and free WiFi throughout their stay. Azul Key West is located at 907 Truman Avenue, Key West, FL 33040. This is a 8 minute walk from Duval Street and 23 minutes from Mallory Square. The Historic Seaport area is a 16 minute walk away. You can walk to Higgs Beach in 13 minutes and Smathers Beach in 37 minutes. 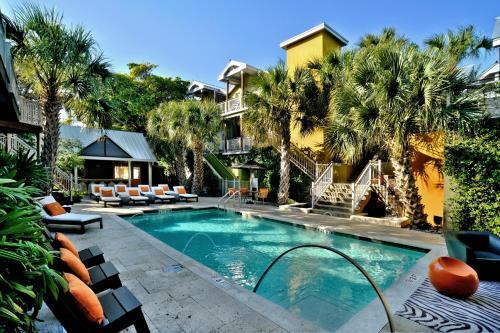 This trendy Key West boutique hotel features an outdoor pool and modern rooms equipped with iPod docking stations and flat-screen TVs. South Beach - Key West is 0.5 miles away from the property. Truman Hotel is located at 611 Truman Avenue, Key West, FL 33040. This is a N minute walk from Duval Street and minutes from Mallory Square. The Historic Seaport area is a N minute walk away. You can walk to Higgs Beach in N minutes and Smathers Beach in minutes. This Key West Fairfield Inn & Suites by Marriott Key West at The Keys Collection features an outdoor pool, tiki bar, and fitness centre. Free WiFi access is available. Each room here will provide you with a TV, air conditioning and cable channels. 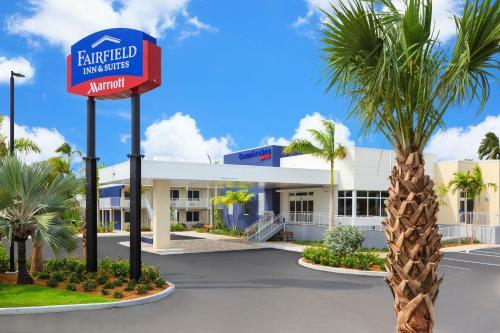 Fairfield Inn & Suites by Marriott at The Keys Collection is located at 3852 North Roosevelt Boulevard, Key West, FL 33040. This is a N minute walk from Duval Street and minutes from Mallory Square. The Historic Seaport area is a N minute walk away. You can walk to Higgs Beach in N minutes and Smathers Beach in minutes. Located just 2 minutes’ walk from the Ernest Hemingway Home and Museum, this adult-only inn features free parking and a shared outdoor swimming pool. Free Wi-Fi is also available. Douglas House is located at 419 Amelia Street, Key West, FL 33040. This is a N minute walk from Duval Street and minutes from Mallory Square. The Historic Seaport area is a N minute walk away. You can walk to Higgs Beach in N minutes and Smathers Beach in minutes. 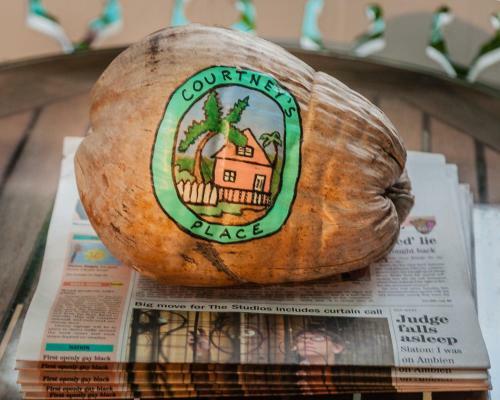 Courtneys Place - Historic Cottages & Inns is located at 720 Whitmarsh Lane , Key West, FL 33040. This is a 4 minute walk from Duval Street and 15 minutes from Mallory Square. The Historic Seaport area is a 10 minute walk away. You can walk to Higgs Beach in 20 minutes and Smathers Beach in 45 minutes. 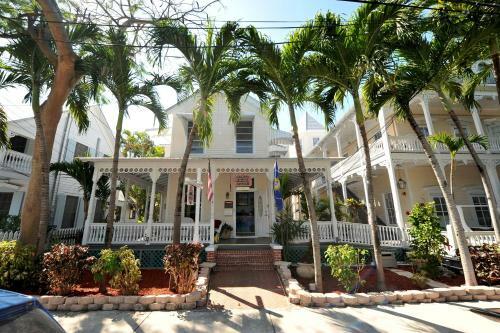 Seascape Tropical Inn is located at 420 Olivia Street, Key West, FL 33040. This is a 0 minute walk from Duval Street and 15 minutes from Mallory Square. The Historic Seaport area is a 16 minute walk away. You can walk to Higgs Beach in 22 minutes and Smathers Beach in 46 minutes. The Coconut Mallory Marina & Resort offers studio, one bedroom and two bedroom condominiums available for rental. Amenities at the Coconut Mallory Resort include two swimming pools, Jacuzzi, clubhouse, BBQ area and a playground. In addition, the resort features a marina with available boat slips. The resort also offers a guest services desk to arrange all island activities. Coconut Mallory Resort and Marina is located at 1445 South Roosevelt Boulevard, Key West, FL 33040. This is a 72 minute walk from Duval Street and 76 minutes from Mallory Square. The Historic Seaport area is a 71 minute walk away. You can walk to Higgs Beach in 58 minutes and Smathers Beach in 43 minutes. The Palms Hotel is located at 820 White Street, Key West, FL 33040. This is a N minute walk from Duval Street and minutes from Mallory Square. The Historic Seaport area is a N minute walk away. You can walk to Higgs Beach in N minutes and Smathers Beach in minutes. 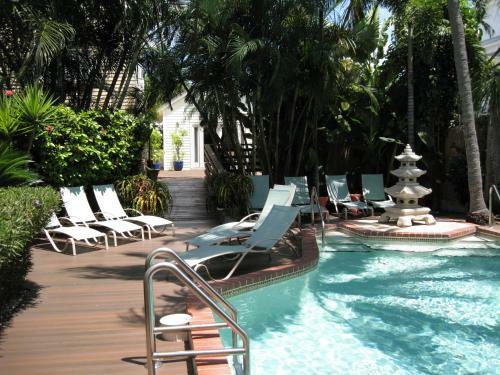 Located in Key West, Florida, Key Lime Inn features an outdoor heated swimming pool, free WiFi access, and complimentary continental breakfast. The Southernmost Point is just 1.1 km away, and Duval Street is 750 metres from the inn. Key Lime Inn is located at 725 Truman Avenue, Key West, FL 33040. This is a N minute walk from Duval Street and minutes from Mallory Square. The Historic Seaport area is a N minute walk away. You can walk to Higgs Beach in N minutes and Smathers Beach in minutes. Locally owned and operated since 1975, this art deco hotel offers relaxing amenities and first-rate services in the center of Old Town Key West, within walking distance of Duval Street. 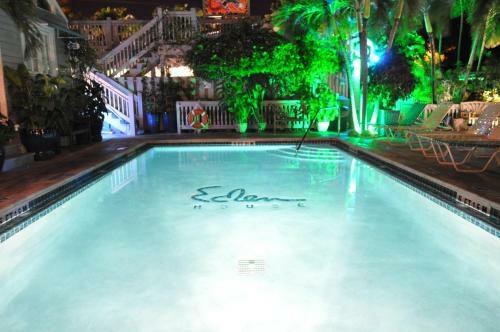 Eden House is located at 1015 Fleming Street, Key West, FL 33040. This is a N minute walk from Duval Street and minutes from Mallory Square. The Historic Seaport area is a N minute walk away. You can walk to Higgs Beach in N minutes and Smathers Beach in minutes. 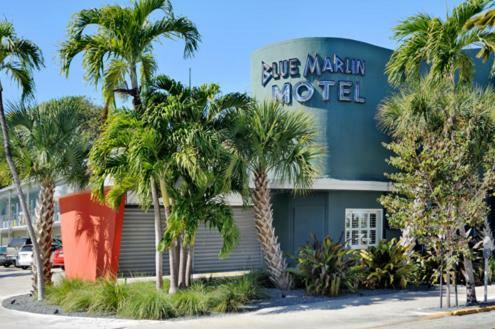 Blue Marlin Motel is located at 1320 Simonton Street, Key West, FL 33040. This is a 2 minute walk from Duval Street and 24 minutes from Mallory Square. The Historic Seaport area is a 20 minute walk away. You can walk to Higgs Beach in 12 minutes and Smathers Beach in 36 minutes.